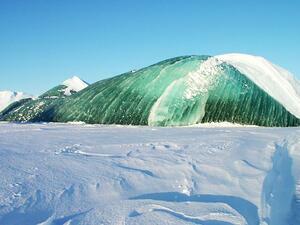 Icebergs are normally blue but some few Antarctic icebergs are green, and scientists may know why. These icebergs contain high levels of iron and may have a greater purpose. As the green icebergs float out into the ocean and melt, they deliver the iron to phytoplankton who benefit from it as a nutrient. “Big Iron” is a termed used in the technology industry to describe large mainframe computers with great processing power and scalable computing. VendorInsight®’s scalability to all levels of industry, the robust technologies it is built upon, and its powerful workflow and productivity features make it the “big iron” of the risk management SaaS software industry. As VendorInsight® is used by more and more organizations and becomes more prevalent across the industry, like the green icebergs, it feeds third party risk management programs, sustaining them and making them stronger with its big iron!